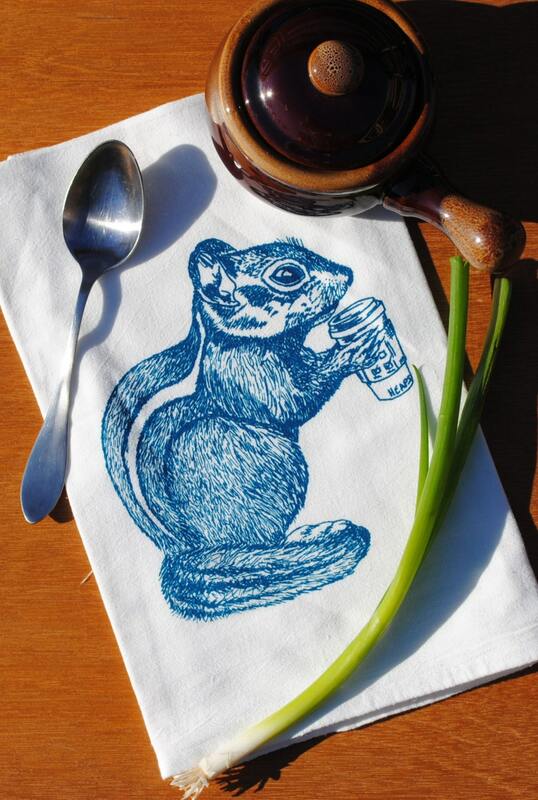 This is a kitchen tea towel made with cream color flour sack material featuring a teal chipmunk drinking his morning coffee. I personally hand draw all of my designs and hand pull all of my screen print images. The printed flour sack tea towel is eco-friendly, 100% cotton. Our kitchen towels are nice and thick and will stand up to everyday wear. I use high quality water based inks that are earth friendly and long-lasting. This eco friendly cotton flour sack kitchen towel will make a lovely hostess gift, house warming gift, dinner party, Christmas gift or wedding gift. 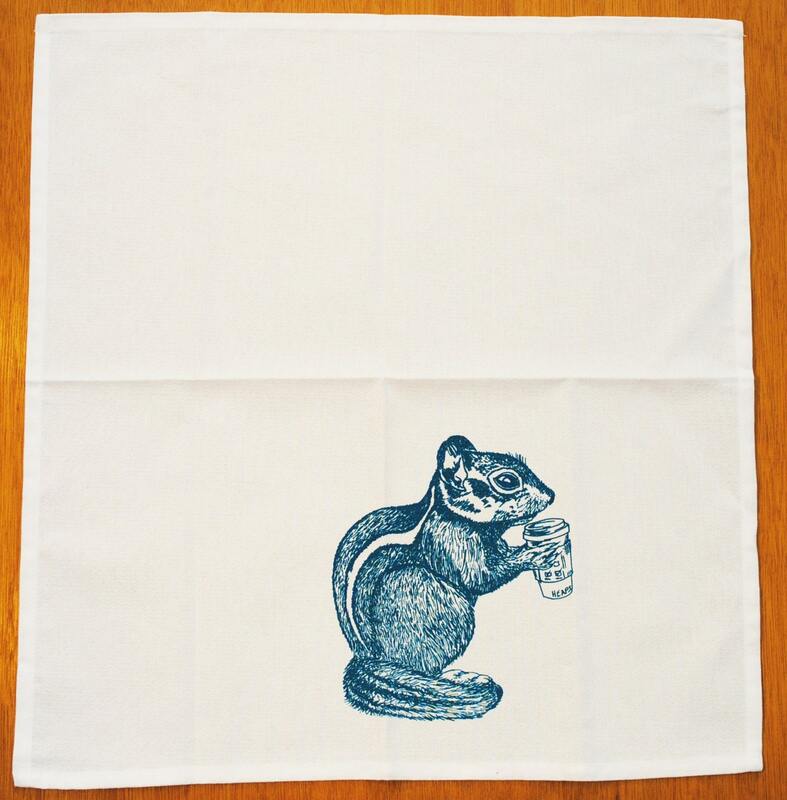 Add a charming addition to your kitchen with our chipmunk kitchen hand towel! *****LOVE THIS KITCHEN TOWEL DESIGN? Fantastic!!! The towel is high quality and the printing is perfect! I smile every time I look at this coffee drinking chipmunk! Nice cloth and very vibrant design, thank u !